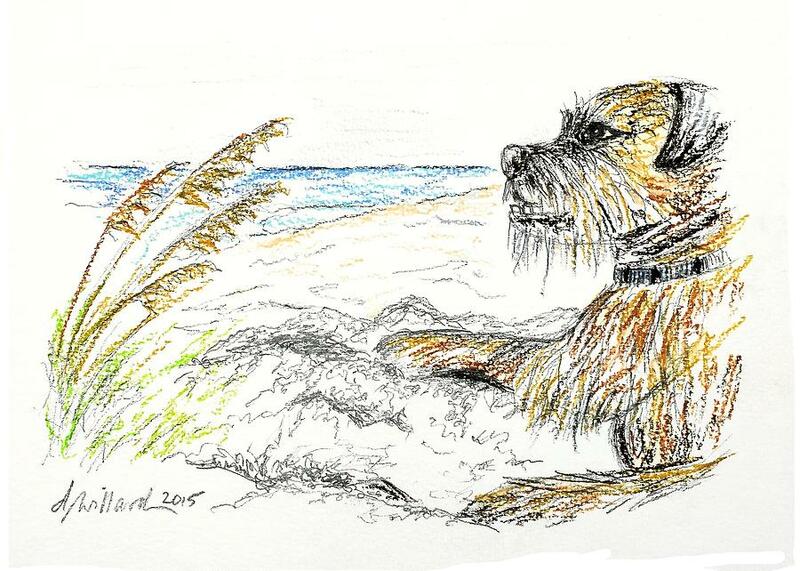 Dog By The Sea is a drawing by Deborah Willard which was uploaded on September 27th, 2015. 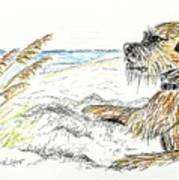 Colored pencil drawing of the profile of a terrier-type dog, its front paw outstretched on the sand, sea oats blowing in the wind. with sand and sand dune and ocean in the background. 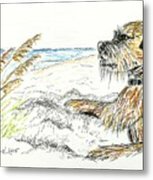 The sea scape is reminiscent of the white sandy beaches along the North Carolina coastal areas. 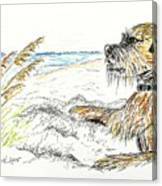 There are no comments for Dog By The Sea. Click here to post the first comment.